Why I got it: I saw it in a book haul on Youtube and the synopsis caught my attention straight away. I cannot explain fully how important this book is. 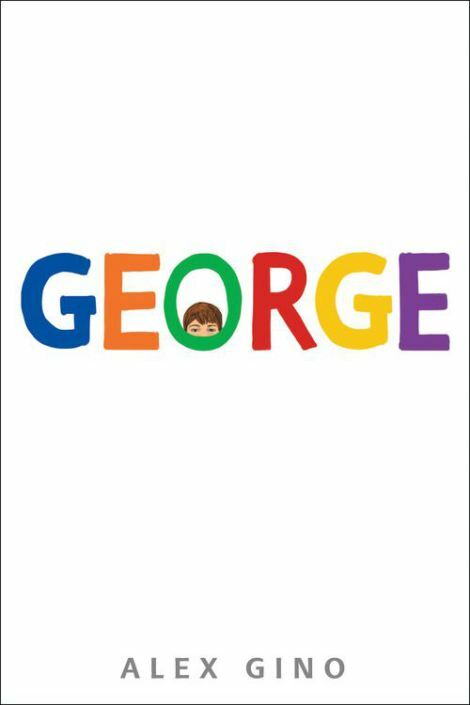 George is a story about a very young girl who is dealing with the fact that although everyone is expecting her to be a boy she simply isn’t happy being one. With their year putting on a play of Charlotte, George is determined to play the main role despite what her teacher said. Just from that short description, you can already imagine how courageous our main character is. George is the definition of brave and I can honestly say she is one of the greatest role models any child can have. The biggest surprise for me when reading this book came at me straight away and that was the pronouns. Going into this book I assumed that George will be referred to as a “he” but that wasn’t what happened at all and it was such a pleasant surprise. I am thrilled to say George’s identity and journey was respected to the fullest. This, along with the simple yet charming writing, Alex Gino presents a really wonderful novel that everybody should read. Something that really caught my attention with this book is how hyper-sensitive children are about “acting their gender,” especially the boys. We see it throughout the book and although at first I was slightly stunned at how big of a deal this was, when I look back at when I was that young I could definitely spot the similarities. Boys have to be active and sporty and radiate the careless attitude. It’s hard to read this book and not think of how ridiculous it all is. The author definitely highlights this issue with some of the side characters which wows me every time I think about it. George receives the easiest five star rating I’ve given this year. To think that we are at a point in children’s literature in when LGBT+ issues and topic can be written about without it being deemed “inappropriate” or thought of as “adult only” makes me incredibly happy. After this book I will definitely be picking up anything and everything Alex Gino writes and I can’t wait to see what they do next. If this book goes on to gain as much success as it deserves, I can only imagine what an impact it would make on people’s opinions and how it could make some kids out there feel a little less alone. Why I got it: I wanted to join the BOOKSPLOSION Liveshow that you can watch here you want. When I read the blurb of this book, I wasn’t too keen. I didn’t trust the author to handle the topic of severe anxiety and depression well and that’s something that’s incredibly important for me when I read a book like this. There is still so much stigma surrounding mental illness and so it’s extremely important to get the facts right and present it as you would with any other illness. From the summary on Goodreads, I was immediately turned off. There was definitely too much emphasis put on Linus being the reason for her Audrey’s and it just doesn’t work like that. I don’t want teenage girls thinking that depression can be cured with a boyfriend! I want teenage girls to realise mental illness is a huge problem and a single person entering your life will not change that. 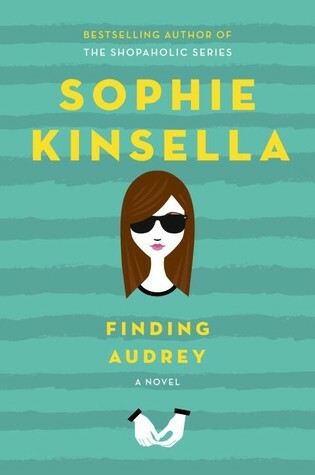 Fortunately, Sophine Kinsella and I were on the same page here. Why did I get it: It’s on my TBR Challenge and I’ve heard a lot about this book so I thought “Why not?”. Here lives an orphaned ward named Lyra Belacqua, whose carefree life among the scholars at Oxford’s Jordan College is shattered by the arrival of two powerful visitors. First, her fearsome uncle, Lord Asriel, appears with evidence of mystery and danger in the far North, including photographs of a mysterious celestial phenomenon called Dust and the dim outline of a city suspended in the Aurora Borealis that he suspects is part of an alternate universe. He leaves Lyra in the care of Mrs. Coulter, an enigmatic scholar and explorer who offers to give Lyra the attention her uncle has long refused her. In this multilayered narrative, however,nothing is as it seems. 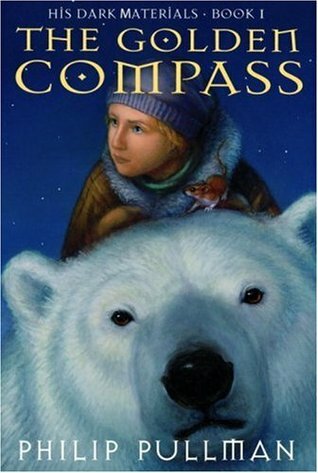 Lyra sets out for the top of the world in search of her kidnapped playmate, Roger, bearing a rare truth-telling instrument, the compass of the title. All around her children are disappearing—victims of so-called “Gobblers”—and being used as subjects in terrible experiments that separate humans from their daemons, creatures that reflect each person’s inner being. And somehow, both Lord Asriel and Mrs. Coulter are involved. Damn. I really, really, really wanted to love this book. I want to tell everyone how amazing this first book of a trilogy is but I can’t. I can’t say I loved it. I can’t say I liked it either. I did enjoy parts of it and that is about as positive as I can get. With seeing some parts of the film before, I had the impression that this book was going to be a lot more magical than it actually was and I have to say that it was disappointing. I picked this book for my TBR Challenge because everyone knows/has read this book and I felt out of the loop. Right now, I don’t feel like I would have missed out on much. 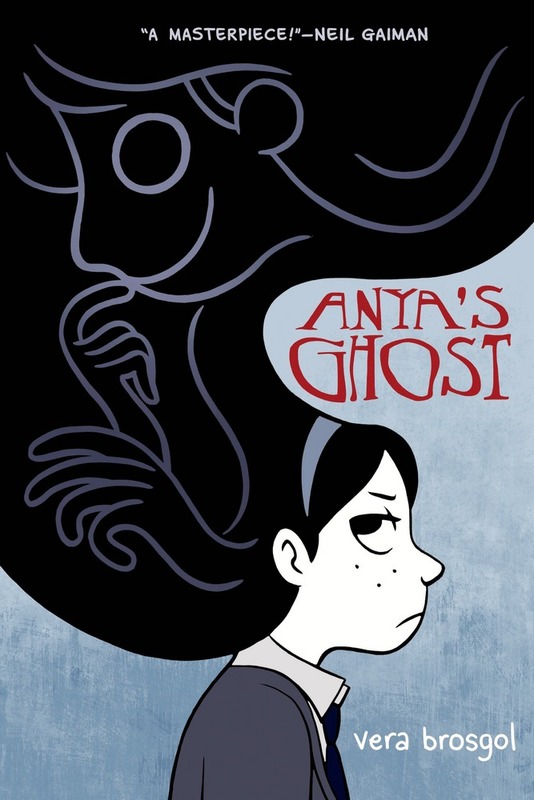 The story follows a girl by the name of Lyra and her daemon companion as they try to figure out who is taking children from their town and what is happening to them. It was slow. And yes, yes, it’s the first book in a trilogy and there is a lot of world building that needs to happen and that tends to slow down the pace but it could have been done so much better. The world building itself, I didn’t find all that well done. I still had questions about the world and not in the good “this book kept me guessing all the way through” kind of way. It irritated me that I didn’t understand how some of the things that I was reading about worked to the point I thought some of the segues between events were absolute cop outs because there was no explanation for them. Because of all this, I can’t say that I found the world building fantastic. However, I have to say that the main climax of the book was fantastic. It was fast. It was hectic. It was had me turning the pages with rapid velocity. It was that section of the book that gave me hope and made me think that sticking to this book wasn’t a complete waste of time. It was also one of the only parts of the book where I felt Lyra’s character was great and very interesting compared to how average she was the rest of the time. Ending on a positive note, though, the of idea daemons was incredibly interesting. Daemons are companions to humans that take the form of some animal. Out of everything I’ve read in this book, these daemons and the lore behind them was the most fleshed out thing out of the whole book. 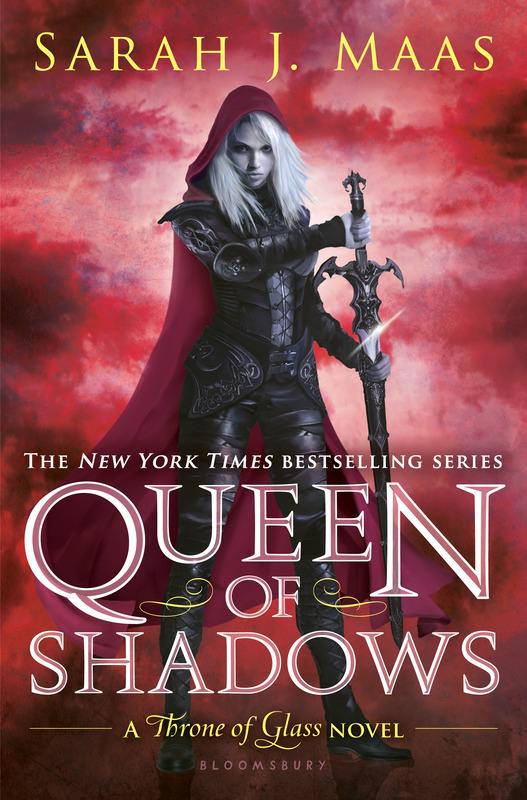 I’ve read books with characters with bonds that deep before but it’s always so refreshing when a relationship is so meaningful and the relationship between Lyra and her daemon was just that. Overall, I can’t say I enjoyed this book. I had to use all of my willpower to push through to the end and I doubt I’ll be picking up the rest of the books in this trilogy. It’s a shame, really, but I wouldn’t recommend it either. Why I got it: I loved everything I’ve read by Gayle Forman so far so I had to pick this up. Now living on opposite coasts, Mia is Juilliard’s rising star and Adam is LA tabloid fodder, thanks to his new rock star status and celebrity girlfriend. When Adam gets stuck in New York by himself, chance brings the couple together again, for one last night. As they explore the city that has become Mia’s home, Adam and Mia revisit the past and open their hearts to the future – and each other. I’m not going to lie, I put off reading this book for a while. I told myself that I was not going to pick it up. It wasn’t because of the way If I Stay ended, which I know a lot of people were frustrated with, but because, for me, the story has ended with If I Stay. I didn’t need the extra book. I liked the way Mia and Adam’s story ended and thought that a second book would just be milking it. 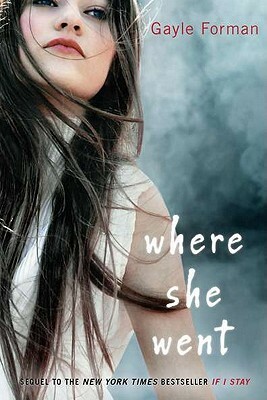 After reading this book, I still think If I Stay would have been a good standalone. But Gayle Forman doesn’t just write “good” stories, does she? She writes incredible ones and this sequel did not fall short of incredible. From this point forwards there will be spoilers for If I Stay so if you have not read that, you (definitely should!) have been warned. The story is told from the point of view of Adam, which is instantly a very big change from the first novel. Adam’s voice is very different from Mia’s and definitely more memorable. It’s all due to the person Adam has become after his break up from Mia. I don’t particularly want to say how he’s changed as I’d consider that a spoiler, however, with the harsh and almost angry tone of this first person narrative, lovers of If I Stay will be caught off guard. Adam’s life has completely been changed by the sudden upsurge in the band’s popularity and linked to that was his change in character. During the first chapter, I was surprised at not only his voice but the way the three years since If I Stay has changed him. The re-blossoming of the old romance was simply a joy to watch. There is no other way to describe it. It was awkward. It was cute. It was frustrating. It was emotional. It was everything I was scared it wouldn’t be. Mia and Adam have a great chemistry and, even after years, such deep understanding of one another it makes my heart leap and hurt and then break into a million pieces. I started this review with saying that I didn’t think I needed to read this book and I’m going to end it with saying that, no, you don’t have to read it after If I Stay. But once you start missing the characters and the emotional turmoil that was the first novel, you will pick this book up. If you want a book just was heartbreaking and developed and complex as the first one, you will pick this up. While If I Stay answers “Is she going to live?” Where She Went answers a more ambiguous question of “What now?” Will they rejoin after all these years? What will Adam do about his unhappiness? Why did they break apart? All questions yearned for by the reader throughout this book and, once again, Gayle Forman doesn’t disappoint.